Most of the SCCM admins have isolated lab environment to test the new features of SCCM. Setting up Azure cloud services for testing new SCCM CMG (Cloud Management Gateway), Azure AD User Discovery, and Cloud DP is costly. My recommendation is to create Azure trial subscription and try to test the SCCM features. You will learn how to remove SCCM CMG and other cloud services from this post. 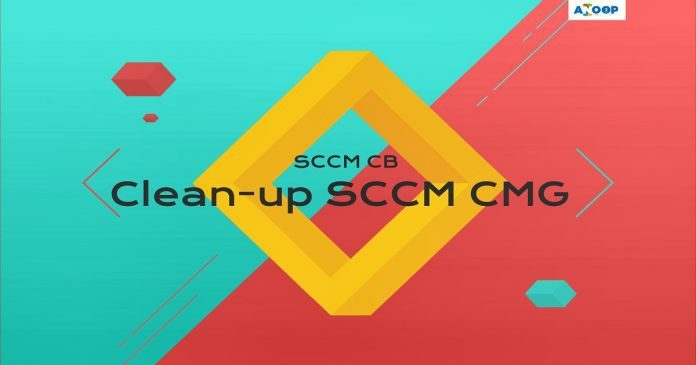 Video Tutorial – How to Remove SCCM CMG and Cloud Services? 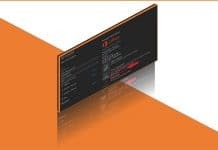 How to Remove SCCM CMG (Cloud Management Gateway & CDP)? 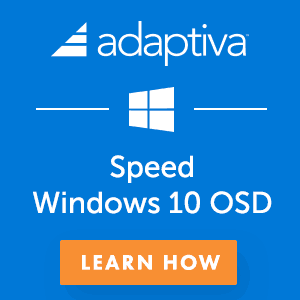 How to Confirm Whether SCCM CMG is Removed? 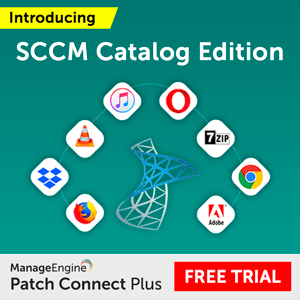 How to – Remove SCCM Cloud Management Connection Point Role? Don’t remove the Azure PaaS server and blob storage before removing the CMG from SCCM console. 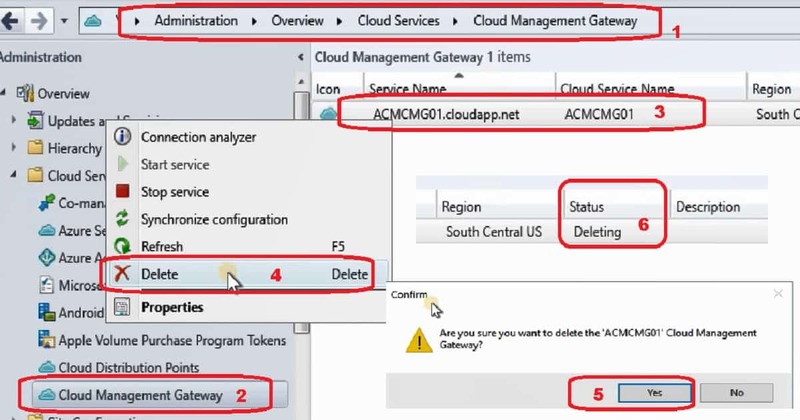 You can follow the steps mentioned in the below section to remove SCCM CMG (Cloud Management Gateway) from your environment. When you have enabled SCCM CMG as CDP, your Cloud DP will also get removed when you delete or remove SCCM CMG. Make sure your internet client management won’t get impacted when you perform this deletion action in a production environment. You should have an additional CMG for internet client management. There are different scenarios in which you need to remove SCCM CMG and other cloud services. 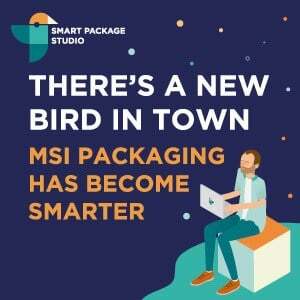 One of the situation is to clean-up your lab environment. Another situation is to remove SCCM CMG or other cloud services like Azure AD user discovery as part of troubleshooting or migration etc. The following topics are discussed in the video tutorial. I hope this will give a video experience and a better understanding. 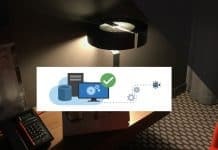 Yes, it’s easy to remove or delete Cloud DP and CMG if you compare it with the installation of both those roles or services. 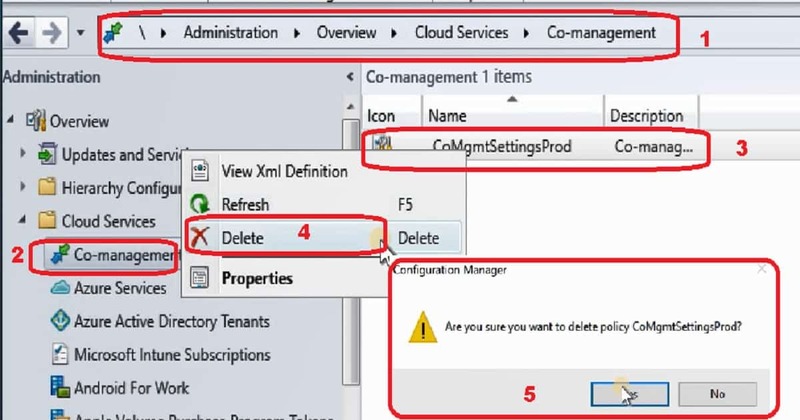 Follow the below steps to remove SCCM CMG and, Cloud DP configured in the CMG. 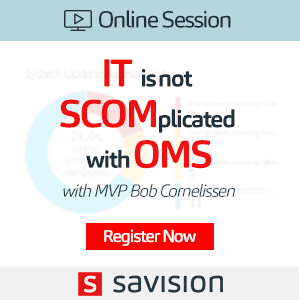 You can confirm whether the SCCM CMG got removed from Azure and SCCM. The best way is to check the log files like CloudMgr.log. Another option is to check the monitoring the status in Cloud Management Gateway node in SCCM console. Another option is to check the Azure Portal to confirm whether the SCCM CMG Azure blob storage account and Azure CMG Virtual server (PaaS) got removed or not. 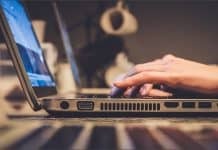 You can remove the connector role before or after the removal of SCCM CMG. 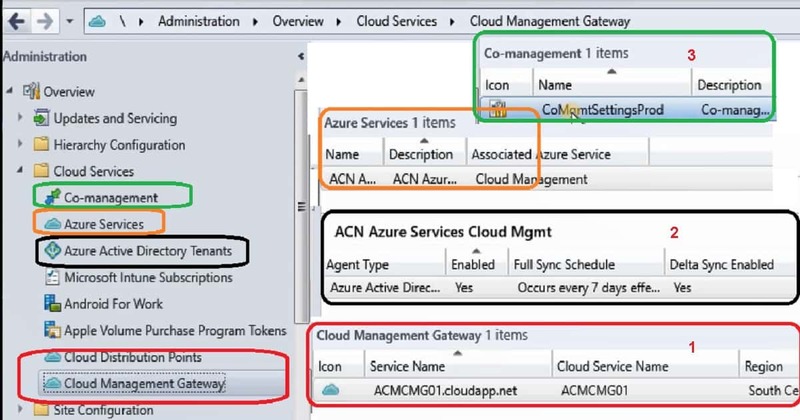 In the above video and this guide, I removed the SCCM cloud management connection point role after removing CMG. 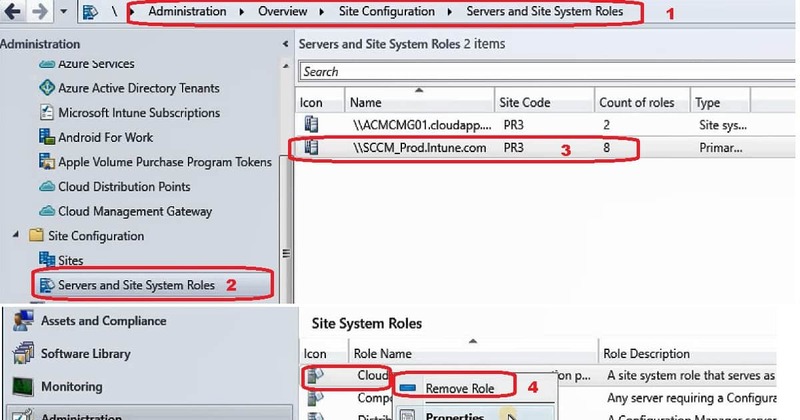 Follow the steps to remove the SCCM cloud management connection point role. You can remove the Azure Active Directory user discovery details from SCCM console. This option is available under the Azure services node. You can remove the Azure Active Directory tenant details from SCCM console. This option is available under the Azure Active Directory tenant node. From this node, you can delete Azure server and client apps which get created during the cloud services onboarding process. You can remove the co-management details from SCCM console. This option is available under Co-Management node. From this node, you can delete SCCM co-management configurations. You also have to remove manually the App registration in Azure. Go in Azure portal, App registrations, find you app and delete it. I was confronted with this error “Another object with the same value for property identifierUris already exists.” trying to reinstall an Azure Service. I deleted and recreate the Azure service. I am getting the following error message. Another object with the same value for property identifierUris already exists.For more details you can refer to the AdminUILog. Just out of my experience. The wizard will create the apps in your default tenant so make sure to check the other Azure AD’s you have permissions on.